The performer's assistant holds a colorful cut out wood flower basket in their hand. It has five holes in which are placed five different colored silks in the shape of flowers. The performer removes the silks, drops them into a metal flowerpot. 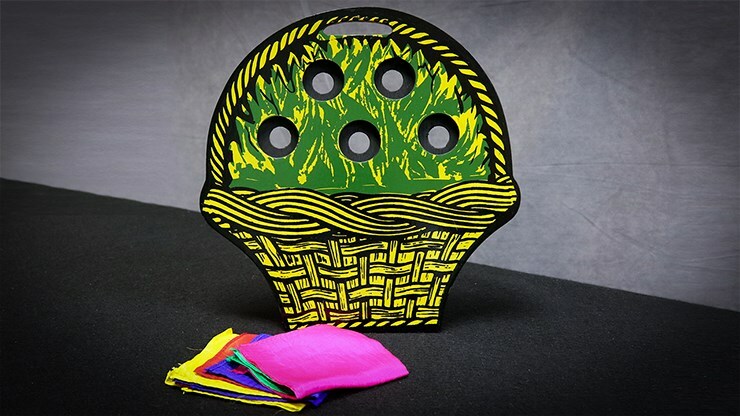 He makes a tossing motion with the pot towards the basket in the assistant's hand and silks instantly reappear in flower shape in the holes of the basket. The performer again removes the silks from the basket, drops them into the pot in his hand. This time as a climax he changes the silks into a bunch of flowers, while the flowerpot is shown to be empty.